How do you beat a Dodge Demon? With The Exorcist, of course. That’s the word according to Hennessey Performance, at least, which has vested the Chevrolet Camaro ZL1 with power and Christian iconography in its effort to best Dodge&apos;s upcoming single-seat drag racing special. The tuning house has prodded the ZL1’s 650 hp 6.2-liter V8 with a larger supercharger, ported heads, free flow header, custom induction system and other upgrades to draw 1000 hp and 966 lb-ft of torque from its mechanical soul. Spirited to the rear wheels through either a six-speed manual or a 10-speed automatic transmission, Hennessey says the car can hit 60 mph in under three seconds and cover a quarter-mile in less than 10. 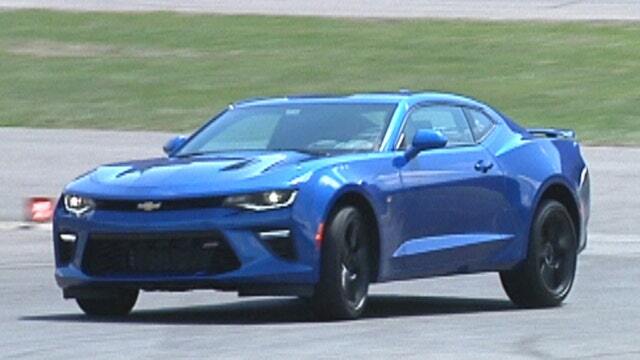 The price for the conversion is $55,000 on top of the ZL1’s $63,435 sticker, with an extra $9,950 needed to bring the automatic transmission up to snuff, while an $8,995 drag package adds a beefed-up drive shaft, a set of drag radials and the tools to change them with. Not everyone lives their lives a quarter-mile at a time, though, and the ZL1’s renowned handling can be enhanced with a set of 20-inch Hennessey wheels wrapped in sticky Michelin Pilot Sport Cup 2 tires for $6,995. Just 100 of the provocative cars will be offered annually, each with a 2-year/24,000-mile warranty, which should give you plenty of time to try to send those Demons back where they came from. NEW KING OF THE PONY CARS?